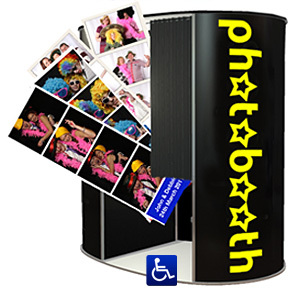 Photo Booth Hire for Wedding Receptions in Leeds and surrounding areas. Photo Booths are great entertainment for wedding receptions guaranteed to help break the ice and get people talking. Family and friends can let there hair down and have some fun in our fantastic photo booth. A terrific way to promote lasting relationships and have a party to remember at the same time. Your guests can leave video messages as well as posing for great pictures and writing in your complimentary guest book. Please send me details of your Fun Photo Booth Hire for my Wedding Reception. 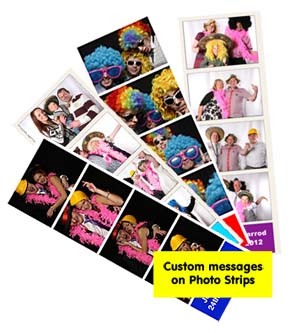 Fun Party Photo Booths for your Wedding Reception in Leeds, Harrogate, York, Bradford, Wakefield, Barnsley, Castleford, Pontefract Dewsbury, Halifax, Huddersfield, Sheffield and surrounding areas.